Talent, opportunity, and fortuitous timing are not the only underlying indicators of success in music. One of the most critical elements to most any prosperous career is the willingness of the artist or performers involved to sacrifice of their personal lives for the music, and to be dexterous and fleet of foot to make their musical dreams a reality. A level of talent still has to be there of course, and the service industry payrolls in Nashville and beyond are brimming with the incredibly hopeful, but fleeting of aptitude or genuine appeal. But an equal amount of talented individuals never make it in music because they were never willing to take that big chance, or were unwilling to sacrifice a certain level of quality of life to pursue their musical aspirations with the devoted approach it requires. After all, making music is an elective occupation, and only a few should be chosen to do it, let alone find fame and fortune through it, while the field of hopefuls compared to most occupations is severely crowded. Laura Morrow fronted the Georgia-based band The Whiskey Gentry for some eight years, and they had a successful run, releasing a few well-received records, including 2017’s Dead Ringer, and did some serious touring and landed some big opening gigs and slots at important festivals. But they were never able to separate themselves from the peloton of independent roots music, despite efforts that Laura and her band members can look back upon as fulfilling for themselves and their devoted fans. It was in the summer of 2017 when Laura and her husband and fellow Whiskey Gentry member Jason were attending a tribute night to Them Darlin’s Jessi Zazu orchestrated by John Prine’s Oh Boy Records in Nashville—with artists such as Jason Isbell, Kelsey Waldon, Caitlin Rose, Elizabeth Cook, and Colter Wall performing—that they decided to sell their house in Atlanta, move to Nashville, and take the big plunge once and for all. Seeing the musical camaraderie swelling within Nashville’s independent community made them want to be a part of it. This self-titled EP is the opening salvo from that transformation, and includes some notable Nashville musicians such as pedal steel player Whit Wright, and drummer Jerry Pentacost. Generally speaking, EPs should be discouraged from artists large and small. They’re half efforts, and accordingly, often get omitted in an artist’s discography, and overlooked by the public in a cluttered and busy music marketplace. 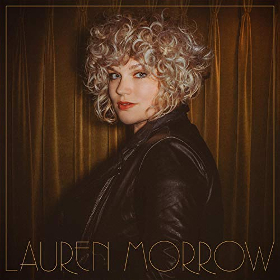 But Lauren Morrow has hit on one of the few moment when an EP isn’t just acceptable, but advantageous. As she starts a new era of her career, she needs something to advantageously represent herself that isn’t The Whiskey Gentry, and this is what she accomplishes with these four songs. But most importantly, these four songs are really good. It starts with the song “Viki Lynn” about Lauren Morrow’s mother. This is the type of deeply personal, yet widely appealing song you write when you put your fate on the edge of a pen, and take the net away from below the trapeze. Twangy, upbeat, and true, it’s an easy song to fall for. This is followed by a heartbreaker called “I Don’t Think About You At All,” which is merciless in its exploration of a post-breakup mindset, and is deliciously set in country music half time. “Mess Around” has more of an Americana approach with it’s watery guitar, and you don’t even mind the old school moog-y solo once it gets there. “Barbara Jean” ends the EP in more of a storyteller mode, and gives the audience something to unravel. This EP won’t be rivaling the other releases of 2018 as one of the year’s best, because it’s only four songs and isn’t intended to. 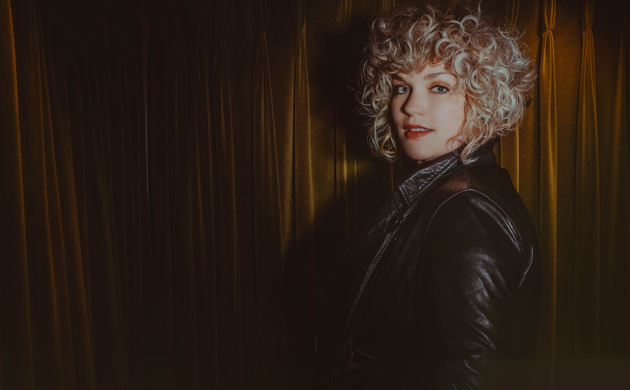 It leaves a audience craving more, while giving you a glimpse of what might be ahead for this seasoned, yet new singer and songwriter who has decided to embed herself deep in the belly of Music City to see what happens. After this EP, more people should be paying close attention. I like the album and think it’s a great start for her solo career. Where I disagree with you is in EP’s. While it is true that EP’s used to be used mostly as a test for an artist to see if their music sells or is streamed, before a label commits to a full length album. I believe in today’s environment the way music is released is changing rapidly, and streaming is the main reason. Because people can stream any music they want what happens is they find music they like and some it of it sticks but much of it is gone the next week when a new batch of music is released. This is causing some changes in how music is released. Instead of releasing a full length album all at once several weeks before the album is released a few singles start making their way onto playlists. It’s an opportunity for big name artists and even some lesser known acts to be able to get a longer play time and essentially keep their music on playlists longer. I have even seen some artists like Dee White released what is essentially half of his full length album recently and I believe plans on releasing the other half of the CD in early 2019. The reality is most people who scan a new album will play a short amount of each song and those songs they like will go onto a playlist for them to enjoy. Usually only one or two songs make it to that playlist, and the rest gets forgotten once that song has been replaced on your playlist. Hence artists and labels are searching for ways to be more relevant for a longer period of time in the way we listen to music today. I think you are going to see more EP’s and more than one release every year or two, they will just be less songs. Basically an EP or singles from a new full length album spread over a several months leading up to the full length album release. I respectfully, but severely disagree. EPs are career killers if not done in the right circumstances, which is 90% of the time. I have seen it over, and over, and over again. The only people promoting the idea of EPs are people who really don’t know the music business. If you want to optimize your streaming opportunities, you release singles, not EPs. Releasing a series of EPs to optimize streaming placement will only result in dead material for whatever is not put on a playlist. Besides, most artists are not getting placed on playlists anyway, especially at the start of their career. You release singles ahead of an full-length album, and then you release a full-length album that will create a narrative around your music and help you develop a fan base that won’t be subject to the whims of playlist placement, or any technological trend. Yes, it is a singles-driven market, but that’s only for the mainstream, and passive listeners. For the independent realm and active listeners, LPs are still king. Too many people are trying to advise independent, unknown artists on how to manage their career based off of data culled from Drake and Cardi B. Also, EPs are less likely to get the attention of the press, and NO outlet is going to post four features on your respective EPs leading up to your LP. Some people think they know how to game the system and create shortcuts, but they fail. Release singles and full-length albums. It’s the tried and true model that gives you the most opportunity to launch your career, unless you’re in a transitional period like Lauren Morrow or Lindi Ortega was a couple of years ago, or are trying out a side project. Otherwise, avoid them at all costs. That is my professional opinion. Anyone who worked at IRS records in the 80’s would disagree re EPs being career killers. They used the format extensively in helping breaking artists in the 80s. Amongt both IRS and non-IRS acts, R.E.M., the Bangles, Los Lobos, the Plimsouls, Dwight Yoakam Mojo Nixo, Tommy Keene and Jason & the Scorchers are but a few of the artists who moved onto bigger and better things thanks to EPs released at the outset of their recording careers. Los Lobos won a Grammy as a result of theirs, which lent them the opportunity to purchase a vehicle and tour from coast-to-coast and entertain fans familiar with that release. All acts mentioned received significant media coverage and airplay thanks to interest generated by their EP. More recently, Australian acts Rolling Blackouts Coastal Fever and Courtney Barnett gained momentum by beginning their recording careers with two EPs apiece. This suggests the format is ripe for revival in these modern times. And there is nothing at all wrong with following Cardi B’s lead.